Doctors are expected to strike on Monday, with other professions calling for a work stoppage later in the week. Inside Story: Will Omar Al Bashir survive the protests? At least 12 people have been killed since demonstrations began on Wednesday after the government hiked the price of a loaf of bread from one Sudanese pound to three (about $0.02 to $0.06), exacerbating grievances over price rises, shortages of basic commodities and a cash crisis. Protesters are calling for President Omar Hassan al-Bashir, who has been in power for three decades, to step down. "Fuel and bread shortages may have triggered protests across the country, but other factors now seem to be helping to keep them going," Al Jazeera's Hiba Morgan, reporting from the capital, Khartoum, said. "People seem to be frustrated not just by the economic crisis, but by the way the country is being run and they want to see change." 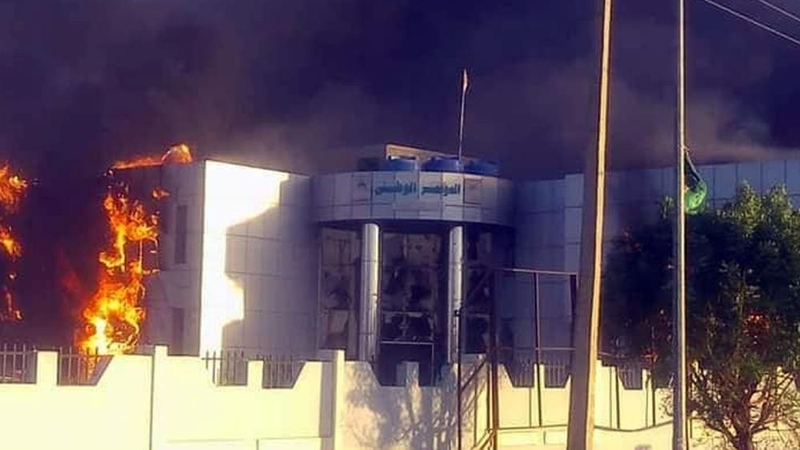 On Sunday, residents in Um Rawaba, 200km southwest of the capital Khartoum, told AFP news agency that some 600 people gathered in the market chanting, "the people want the fall of the regime". Protesters burned tyres and branches in the streets and attempted to storm a government building before being turned back by security officials, witnesses said. Police also fired tear gas on protesters in Khartoum after hundreds of protesters blocked a road in the centre of the city late on Sunday. Earlier in the day, there was a tense calm as schools and universities were shuttered by a nation-wide government suspension and riot police equipped with batons and tear gas guarded buildings. "We were asked to leave this morning," said a university student from northern Khartoum. "I have a big family and this bread is not enough for three daily meals," a local resident told AFP. In a statement, the coalition said the doctors will continue to deal with emergencies during the strike, which aims to "paralyse" the government and deny it much-needed revenues. The coalition also called on citizens to continue their street protests. Sara Abdelgalil, president of the Sudan Doctors' Union in the UK, said Sudan is headed for a total shutdown if there's no change in leadership, calling the recent protests "the tip of the iceberg". "I don't think people on the streets are protesting just because of fuel and bread. They are protesting because there is an overall failure of the whole system," she told Al Jazeera. "For the medical sector, there is complete destruction for the infrastructure, for the access of health services, for the cost of treatment, for the absence of life-saving medication, so the health sector is similar to education and other sectors in Sudan where there is an overall failure from the current government, therefore they have to step down and hand over the power to a government that can lead and can provide a better life for the people of Sudan," added Abdelgalil. Participants in the protests have so far numbered in the hundreds or low thousands in each location but their continuation for nearly a week despite the use of force by police suggests the level of popular discontent over al-Bashir's rule is at a dangerously high level. 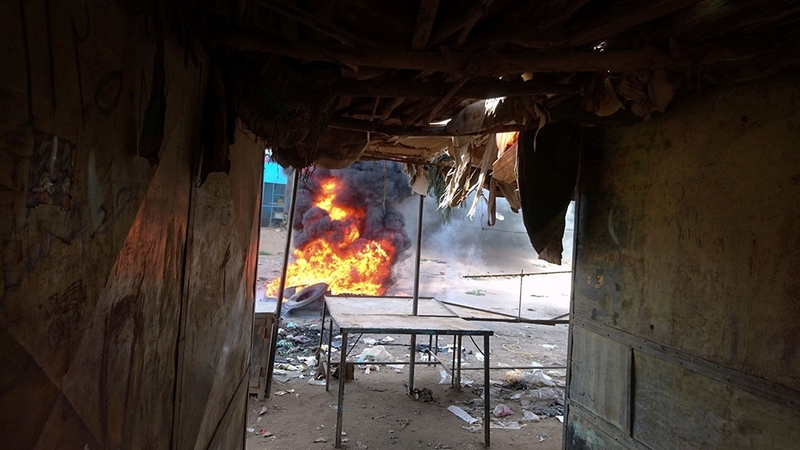 Sudan's official news agency SUNA reported on Sunday that authorities had arrested a "cell of saboteurs" which had planned "acts of vandalism in the capital". The official outlet said the "cell" includes members opposition groups but did not elaborate. Sadiq Youssef from the opposition coalition, the National Consensus Forces alliance, had said earlier that 14 members of his group, including its president Farouk Abu Issa, were arrested as they left a meeting. A group bringing together representatives of different professions called in a statement on Sunday for a series of strikes over the price rise, starting with hospitals from Monday. "This crisis can't be left to the government to solve alone, other political parties need to come in and join hands to find a way out," Abu Alqasim Idris, economic analyst, told Al Jazeera. "The crisis is no longer an economy crisis, it's now a political crisis and people are blaming the government for it." The country's economy has struggled to recover from the loss of three-quarters of its oil output - its main source of foreign currency - since South Sudan seceded in 2011, keeping most of the oilfields. Sudan's economic woes have been exacerbated in the past few years, even as the United States lifted its 20-year-old trade sanctions on the country in October 2017. In October, Sudan sharply devalued its currency from 29 pounds to the dollar to 47.5 after a body of banks and money changers set the country's exchange rate. 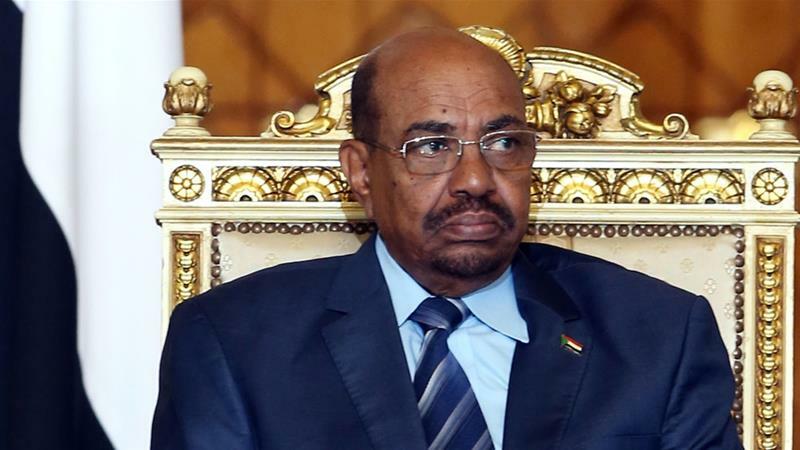 Meanwhile, Qatar has offered its support to al-Bashir, according to Sudan's state news agency. Sheikh Tamim bin Hamad Al Thani spoke to al-Bashir on the phone on Saturday and pledged Qatar's "readiness to provide all that is needed to help Sudan get through this crisis", the Sudanese state news agency reported. Will Sudan's Bashir survive the protests?